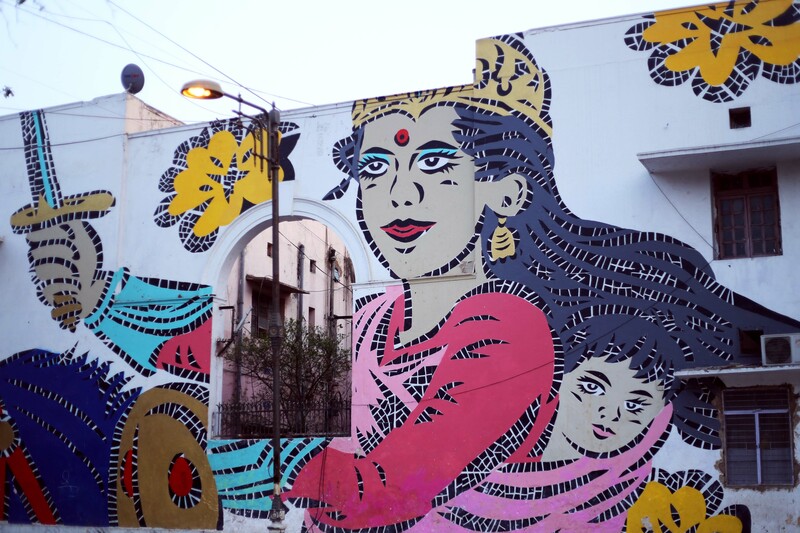 You saw them at the #WIPSHOW at Tughlakabad, Okhla with some spectacularly painted heavy shipping containers taking the mural art to whole new level. 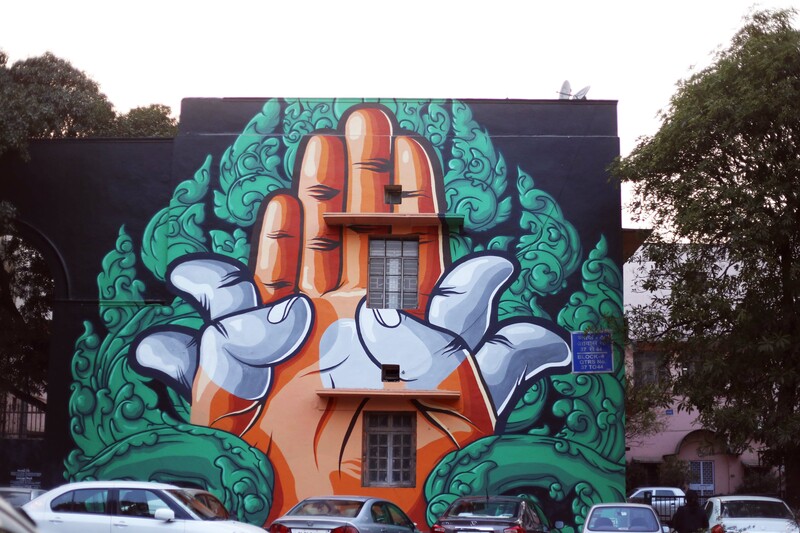 Before this, St+Art Delhi, came up with another round of street art i.e. 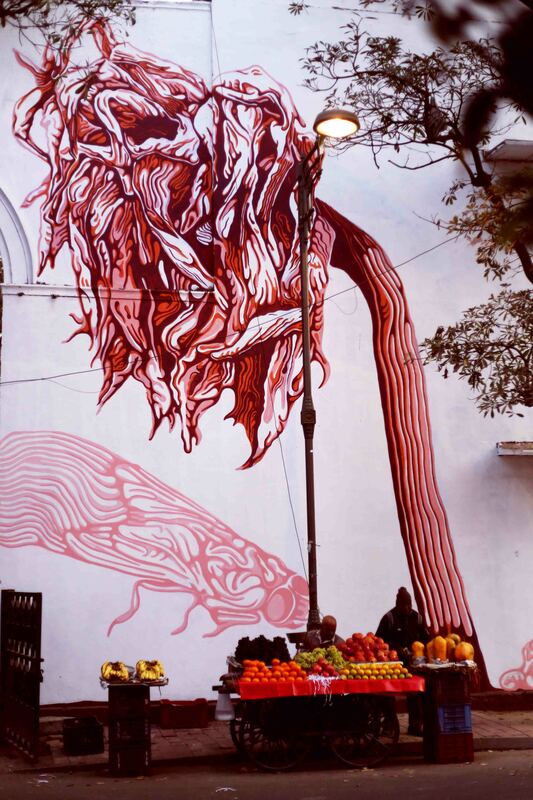 #LODHIARTDISTRICT with some jaw dropping street art across the place and it cannot be better. 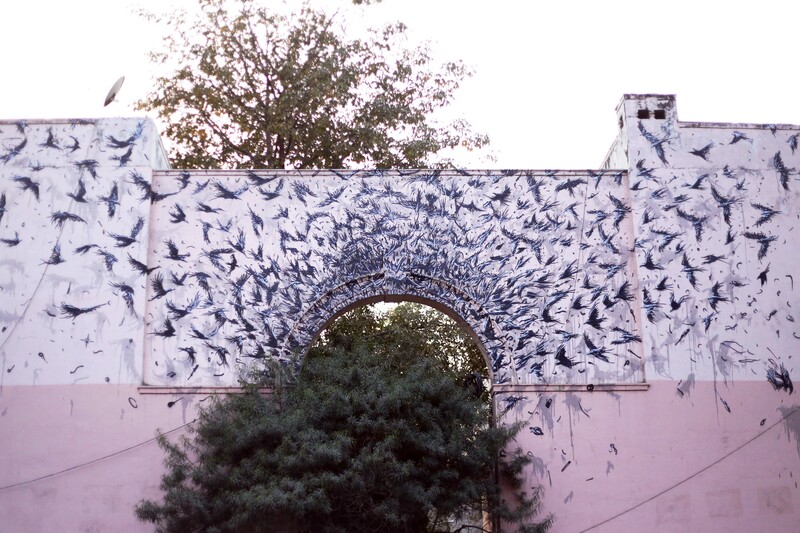 The walls of Lodhi Colony have been given a whole new life by some of the great artists from across the globe. 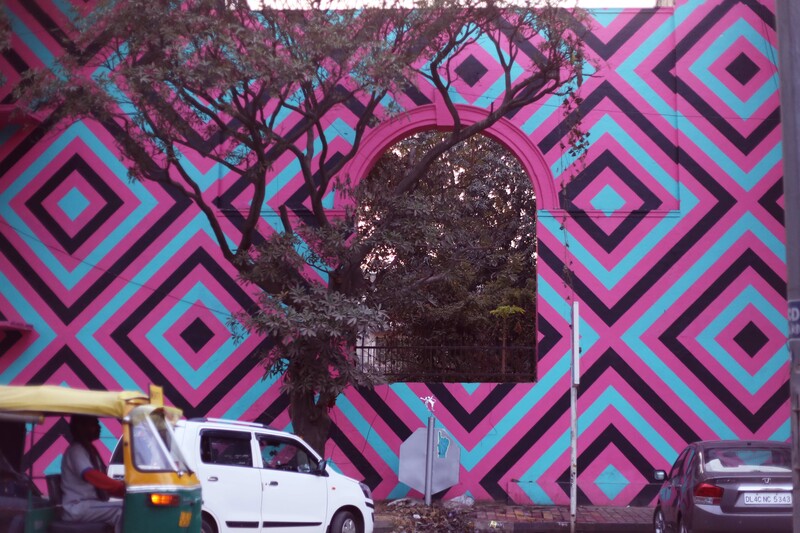 Presenting you some of these wall arts right away from Meherchand Market, Lodhi Colony. 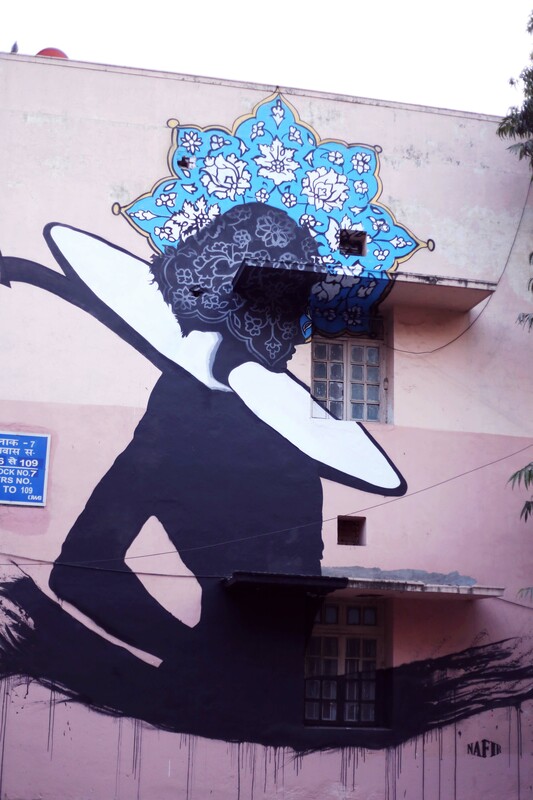 So, this weekend take a swift walk around the roads of Meherchand Market in Lodhi Colony and you might be mesmerized by the art that unfolds in and around Delhi.